In the first part of this tutorial we've seen what the Bullet wrapper is and how we can use it for collision detection. I assume that you've read that prior to this. We'll use its code as the base for this part of the tutorial. The linearmath package contains some generic classes and methods, which are not directly related to physics. This is for example the btVector3 class and the bridge to the LibGDX Vector3 class. The collision package contains everything related to collision detection as we've seen before, like the collision shapes, collision world and near and broad phase classes. The dynamics package contains everything related to rigid body dynamics which we'll look at in this tutorial. The softbody package contains every related to soft-body and cloth simulation (in contrast to rigid bodies). And finally, the extra package contains some useful helper classes/tools, at the moment this only contains importing previously saved bullet world (e.g. from Blender). Note that the order of these packages is important. The collision package uses classes from the linearmath package, but doesn't use classes from the dynamics package. 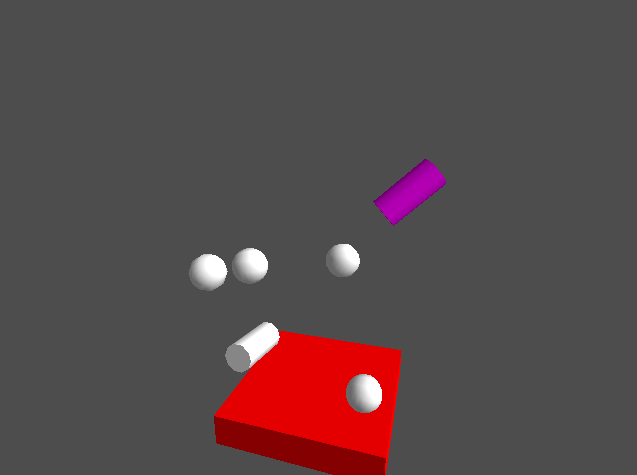 Likewise the dynamics package relies on the collision package, but is independent of the softbody package. Or, in other words: dynamics is built on top of collision. When working with dynamics, you are still able to use the functionality of the collision package. Before we can apply dynamics, we need to set some properties required for Bullet to perform some calculations. E.g. when you push against (apply a force to) an object, then the weight (mass) of the object is important on what happens. If the object is very heavyweight it might not move at all. But when it's lightweight, it might move quite some distance. Other properties, like the friction between the object and the surface it's on are also relevant. Because a btCollisionObject doesn't contain such properties, we need to use a subclass called btRigidBody. As the name suggests this class contains all properties of a rigid body. Here we replaced the btCollisionObject of the GameObject class with the btRigidBody class, which extends btCollisionObject. To construct the body we now use a btRigidBodyConstructionInfo class. This class contains the btCollisionShape like we've used previously, but also contains other properties like the mass, friction, damping and others. The Constructor class now also contains this constructionInfo, this allows for a very convenient way to construct multiple instances of the same object, like we've seen before. When creating the btRigidBodyConstructionInfo, we need to specify the mass (the weight of the object), we use null for the second argument (we'll see soon why), next we supply the btCollisionShape as third argument and finally we need to specify the localInertia. localInertia is a static Vector3, so that it will be reused for each Constructor. If the mass is equal or less than zero, we simply set the local inertia also to zero. Otherwise we need to calculate the local intertia. Luckily the collision shape has a nice helper method to calculate it. Note that the Constructor class still holds the btCollisionShape, even while the btRigidBodyConstructionInfo also contains this information. This is because we still own the shape and need to dispose it when it's no longer needed. Of course the same goes for the constructionInfo member, so I added a line to the dispose method to dispose that as well. The constructors that we use for our test are mostly still the same, but we now have to include the mass when creating the Constructor. For now we'll just use a mass of 1f for each object, except for the ground, where we use a mass of 0f. A zero mass isn't physically possible. It is used to indicate that the ground should not respond to any forces applied to it. It should always stay at the same location (and rotation), regardless of any forces or collisions that may apply to it. This is called a "static" object. The other objects (with a mass greater than zero) are called "dynamic" objects. As you might know, most physics properties need to be specified using units. For example the mass is commonly specified in kilograms. The size of an object is specified in meters and time is specified in seconds. These are called SI units. It is advised to use them when possible. But sometimes it is just not practical to use them. For example when your objects are very huge or very small. Bullet performs best when values are around one (1f). There are a lot of factors (like floating point precision), but in practice it's best to keep the values of the properties of the the btRigidBody around one. So, if you are making a space game where the game objects are likely to be much larger than one meter, you might want to decide to use dekameters (10), hectometers (*100) or kilometers (*1000) instead. Or, if you are making a game where the objects are likely to be much smaller than one meter, you might want to decide to use decimeters (0.1), centimeters (*0.01) or millimeters (*0.001). Likewise, if your objects are likely to be much heavier or lighter than one kilogram, you might want to scale the mass also. Scaling your units is generally no problem, as long as you keep consistent. So if you decide to use inches instead of meter, then you should also use inches per second for velocity, inches per second per second for acceleration (like gravity) and kilogram inches per second per second for forces. Read this article for more information. Keep in mind that in most cases the size of the (visual) model is the same as the size of the physics body and that the transformation matrix of the model instance can't contain a scaling component. Therefor the size of your model should match the desired units and any scaling applied should be "baked" prior to exporting the model from within your modeling application. I've renamed the collisionWorld member to dynamicsWorld and made it a type of btDynamicsWorld (a subclass of btCollisionWorld). To construct the dynamics world we'll need a btConstraintSolver. We'll not look into constraints into this tutorial, but as you can imagine, this class is used to solve constraints (simply said: constraints can be used to attach objects to each other). We use the btDiscreteDynamicsWorld implementation for the dynamics world. After we've created the dynamics world, we also set the gravity of the world. This will cause all dynamic objects (but not the static ground) to have gravity be applied to them. For the sake of our test we'll use a gravity of minus 10 meters along the Y axis per second per second. This is close to earth gravity. 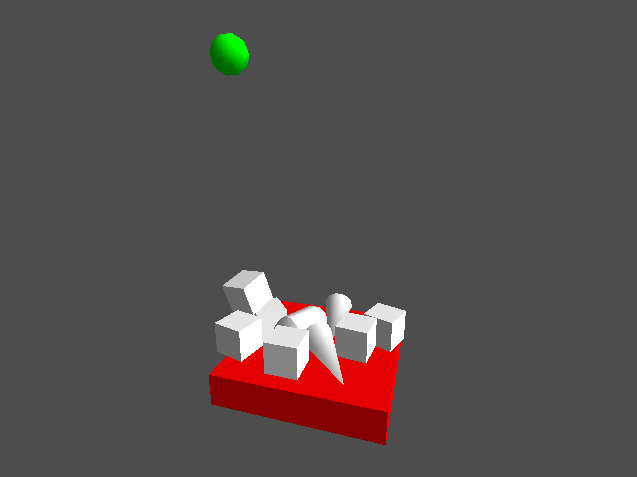 Instead of using the addCollisionObject method, we now use the addRigidBody method to add the objects to the world. Note that the addCollisionObject method is still available, but the addRigidBody method makes sure that for example gravity is correctly applied to each object. Since the objects will now fall down because of gravity, we don't have to move the objects manually. Instead we need to instruct the world to apply the gravity and update the transform of the body. Instead of the performDiscreteCollisionDetection method we now call the stepSimulation method of the world. This will internally still call the performDiscreteCollisionDetection method (including the collision callbacks). The discrete dynamics world uses a fixed time step. This basically means that it will always use the same delta value to perform calculations. This fixed delta value is supplied as the third argument of stepSimulation. If the actual delta value (the first argument) is greater than the desired fixed delta value, then the calculation will be done multiple times. The maximum number of times that this will be done (the maximum number of sub-steps) is specified by the second argument. Note that we still cap the delta to 1f/30f, so the actual number of sub-steps will never exceed 2. If you want to know more about it, there are quite a few resources on fixing the time-step. However, in practice Bullet takes care of it for us, as long as you understand the arguments, it should be fine. Since Bullet now transforms (translates and rotates) our objects, we need to ask Bullet for the new transformation and set it to ModelInstance#transform. This is done using the call to obj.body.getWorldTransform(obj.transform);. If you run this, you'll see that it actually already does what we want. 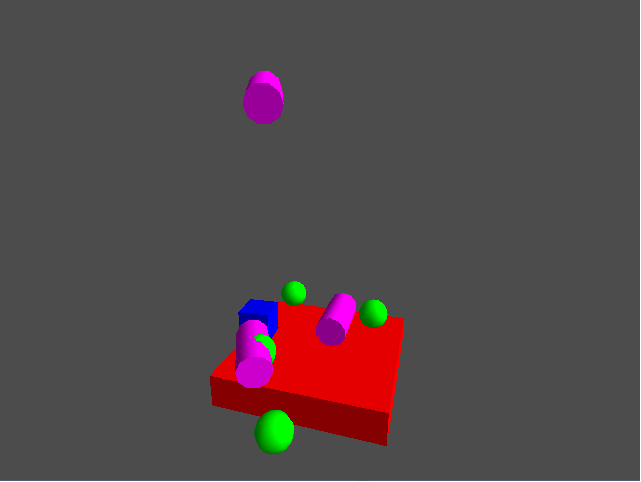 The objects now fall down with the force of gravity on the static ground. Since we've used a collision filter, as seen in the previous part of this tutorial, the objects don't respond to each other (they fall through each other). Since the world now fully controls the moving objects, there's no need for the moving member of the GameObject class anymore. Therefor we might as well remove that member. I'll not show that change (it's only removing the lines using the moving member), but it does leave us with an empty contact listener. To verify that the contact listener still is triggered, let's change the color of the objects when they hit the ground. Basically this asks bullet the current location and rotation of every object. As you'd imagine, if you have a large world this can be quite some objects that are polled for their location and rotation on every render call. However, in practice, there are commonly only just a few objects which are actually moved and/or rotated, if any. Luckily Bullet provides a mechanism to inform us when an object is transformed, so we don't have to iterate through all objects. For this it uses a little callback class called btMotionState. The btMotionState class has two methods, which you both must override. The setWorldTransform is called by Bullet whenever it has transformed a dynamic object. The getWorldTransform is called by Bullet whenever it needs to know the current transformation of the object, for example when you add the object to the world. Here we have implemented a very basic motion state, simply updating a Matrix4 instance. Of course it is possible to perform other operations as well. In our test, for example, if an object would fall off the ground (the y value of the location is below zero or a certain threshold) we could remove the object from the world. Now we need to inform Bullet to use this motion state. Here we construct the motion state and set its transform to the transform member of the ModelInstance. Note that this is done by reference, so the motion state is directly updating the transform member of the MotionState. The call to setMotionState will inform Bullet to use this motion state. This will also cause Bullet to call the getWorldTransform on the motion state to get the current transform of the object. We also need to modify the spawn method a bit. The only change here is that we removed the call to setWorldTransform on the body and instead now call the proceedToTransform method. This instructs Bullet not only to update the world transformation matrix of the object, but to update all other related members as well. Finally we don't have to poll each object for its transform in the render method anymore, so let's remove that code. As you hopefully understand, motion states are very powerful and very easy to work with. There's, however, another advantage of using motion states which might not seem that obvious. To understand this, consider what happens when you call dynamicsWorld.stepSimulation(delta, 5, 1f/60f);. Bullet will perform as many (but not more than the specified maximum) calculations using the specified 1f/60f delta time, until it reaches the specified actual elapsed delta time. Obviously, it's very unlikely that the delta value is always exactly a multiple of 1f/60f. In fact, it is in some cases possible that the value of delta is less than the specified 1f/60f, causing Bullet not to perform any calculations at all. Therefor, the transformation which you get using the obj.body.getWorldTransform() method is not the transformation at the current time, but the transformation at the last calculated fixed time step. To compensate for this, Bullet approximates the transformation at the current time by interpolating the calculated transformation. This interpolated transformation is provided to you in the setWorldTransform method of the motion state. So, using a motion state will give you a smoother visual transition between time steps. Note the word visual though, the actual collision detection and dynamics calculation (including callbacks) are only done at the fixed time steps. While you don't have to understand this equation for this example, I'd recommend to read into it if it doesn't look familiar to you. Now consider that 3.5 seconds have elapsed and we want to know the new location. The most obvious method would be to calculate the new location using above equation: position(3.5) = 0.5 * -10 * 3.5 * 3.5 = -61.25;. While that's the most accurate approach. it isn't feasible in most situations. Practically, this is the same as using a variable time step, which has many disadvantages. For example it misses all collisions that occur between time=0 and time=3.5. And because the delta time will be different each time, the results are not reproducible (you could not replay a physics simulation). Note that you can instruct Bullet to take this approach by providing the value zero for maxSubsteps, which is the second argument of the stepSimulation method, but obviously it is not advised to do so. That's pretty close as well. In fact, it used to be the default in Bullet for quite a while. The main problem with this approach, however, is that the approximated transformation doesn't have to line up with the actual location at time = 4. For example if a collision is ahead or for some other reason the velocity is changed. The key factor to this approach is consistency. The visual representation is always exactly one time step behind. Although this is in most scenario's not noticeable, you could compensate for this in your game logic. In these approaches I simplified the calculation for readability. In reality, Bullet uses a much more complex and accurate calculation to estimate the desired transformation. The input for this calculation is stored in dedicated members of the collision object, which are called InterpolationWorldTransform, InterpolationLinearVelocity and InterpolationAngularVelocity. You can get and set each of these using the respective methods, for example: object.setInterpolationWorldTransform(transform);. Remember how we changed the spawn() method to use the proceedToTransform method instead of setWorldTransform? The proceedToTransform method will update the interpolation values as well. In the previous part of this tutorial we've used collision filtering to make the objects only collide with the ground. Let's remove this filter and make the objects collide with each other as well. Here we change the color of the first object only if the second object is the ground and, likewise, change the color of the second object only if the first object is the ground. Remember that we use the userValue here which we've set to the index of the object within the instances array. Since the first object is the ground, it has an index of 0. While this works for our test, it isn't optimal. Bullet does not only detect collisions for us, but it now also handles how objects respond to those collisions as well. In most cases, you want Bullet to do it's thing without you being notified for every collision. Only for a small amount of collisions you actually need to be notified. Obviously you can check the collision in the callback, just like we do now in this modified ContactListener. But in that case the wrapper still has to bridge between the native bullet code and your java code for every collision. Luckily the wrapper allows you to specify for which collisions you'd like it to bridge to your ContactListener. This is known as contact callback filtering (sometimes shortened to contact filtering or callback filtering) and is specific to the Bullet wrapper. Contact callback filtering works very much like (but is not related to) collision filtering. You need to define a bitwise flag for each collision object and a bitwise filter (mask) for which objects you want the callback to be called. Here we tell the wrapper that the ground has the bitwise flag GROUND_FLAG (which is the ninth bit as we've seen in the previous part of this tutorial) and that we don't need to be informed when the ground collides with another object (the filter of the ground is zero). Next we tell the wrapper in the spawn method that each object has the bitwise flag OBJECT_FLAG and that we want to be informed when it collides with the ground (the filter of the object is GROUND_FLAG). When needed, you can combine multiple flags to create a filter, for example: obj.body.setContactCallbackFilter(GROUND_FLAG | WALL_FLAG);. Note that this is different compared to collision filtering. For collision filtering the filters of both objects need to match the flag of the other object for a collision to occur, while for contact callback filtering only one of the filters has to match with the flag of the other object for the callback to be called. Now we need to inform the wrapper to actually use contact callback filtering. We can do this by using another signature for the callback method. Like we've seen in the previous part the ContactListener class has several methods that we can override and depending on the signature of the method that we override the wrapper will optimize where possible. The match0 and match1 values are used to indicate the filter of which object matches. So in our case, the match variable will only be set for an object colliding with the ground, but not for the ground itself. Let's make our test a bit more interesting by moving the ground up and down. Since the ground is a static body it will not be affected by physics, but the physics will be affected by the ground. Obviously a moving ground isn't really that static anymore. Such an object that does move, but does not respond to collisions, is called a kinematic body. In practice a kinematic body is very much like a static object, except that you can change its location and rotation through code. Before we can start moving the ground, we'll have to inform Bullet that the ground is now a kinematic body. The only change here is the call to the setCollisionFlags method, where we add the CF_KINEMATIC_OBJECT flag to the ground body. We've seen this method earlier in the spawn method, where we've used it to add the CF_CUSTOM_MATERIAL_CALLBACK flag to inform Bullet that we want to receive onContactAdded callbacks. Much alike, the CF_KINEMATIC_OBJECT informs Bullet that the ground is a kinematic body and that we might want to change its transformation. Here we've added an angle and speed variable. The angle variable will hold the current angle on which we'll base the location of the ground. The speed variable holds the speed in degrees per second at which the ground will move. In the render method we update the angle variable accordingly. Next we set the y coordinate of the location of the ground to the sine of this angle. This will cause the ground to smoothly move up and down. And finally we set the world transform of the physics body of the ground accordingly, causing Bullet to use this new location to perform the next simulation. If you run this, you'll see that it actually already does what we want. The ground is moving smoothly up and down and the dynamic objects respond accordingly. But after a while, you'll see that the simulation has flaws. 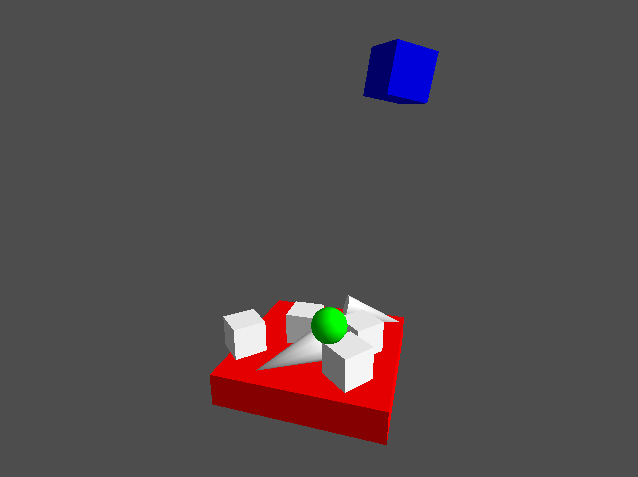 Objects are floating in mid-air or are bouncing on the ground. To understand why this is happening, imagine a very large static ground with thousands of dynamic objects lying still on that ground. Obviously there's a collision between each dynamic object and the ground, so when collision detection is performed both broad phase and near phase collision algorithms including the contact callbacks will have to be executed for all objects. And this will have to be done every frame for all objects, even while there's no dynamics to be performed. As you might understand, this isn't very effective. That's why Bullet let you specify which objects should be checked for collision. So instead of checking all objects against all objects for collision, Bullet will only check the specified objects against all objects for collision. The objects that should be checked for collision are called active objects. Likewise, objects that shouldn't be checked are called sleeping (or deactivated) objects. ACTIVE_TAG: the object is active and should be checked for collisions This is the state that all bodies get when they are added to the world and as soon as they are moving. WANTS_DEACTIVATION: the velocity of the object has been below the threshold for the required time This state is used internally by Bullet, you should never have to use it. ISLAND_SLEEPING: This object and all adjacent objects are deactivated An island is a group of bodies that are adjacent, for example a stack of boxes all belong to the same island. Because the location and rotation of a kinematic body is set by code and it doesn't have a velocity applied, it isn't automatically activated by Bullet. So basically we have to set the state of the kinematic body our self. Thus by setting the activation state to DISABLE_DEACTIVATION right after creating the ground, we don't have to manually activate it in render method anymore. Be careful: as long as a kinematic body is active, the getWorldTransform method of its motion state is called every time. You should only keep the body activated if you're actually moving or rotating it. This concludes this second part of the tutorial about the LibGDX Bullet wrapper. Obviously it is impossible to cover every aspect of bullet physics and the libgdx bullet wrapper. For example, it is possible to hook onto the internal time steps of Bullet to get even more control on the simulation. You can use bullet to control your players character. 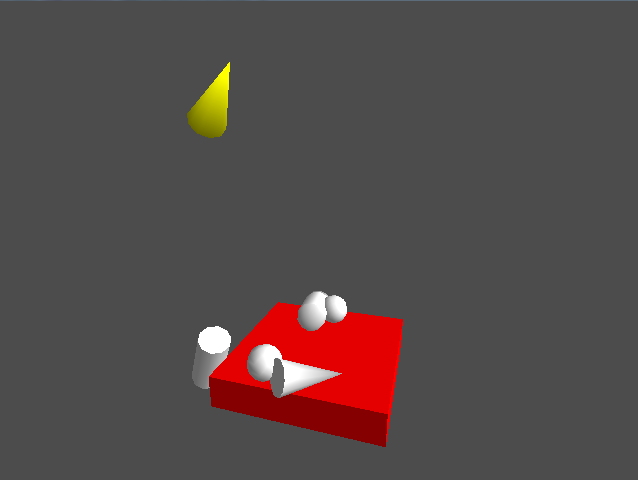 Or you can instruct bullet to use objects as triggers so you're notified about collision, but it doesn't respond to it. And there's a lot more that Bullet has to offer! If you haven't done so already, I'd highly suggest to read the Bullet manual, it is a good read and the place to start when using the Bullet library. It isn't targeted to the LibGDX Bullet wrapper, but much of it still applies. Also, the Bullet websiteBullet website and especially the Bullet wiki provides a lot of practical information. The forum is also quite active.